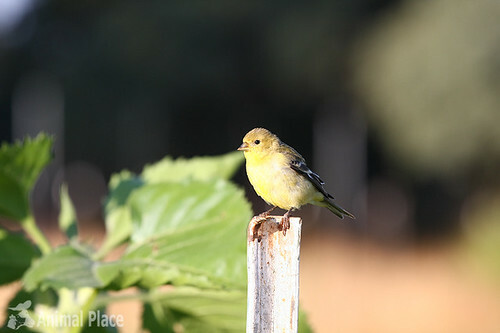 The early morning hours are magic time for goldfinches. 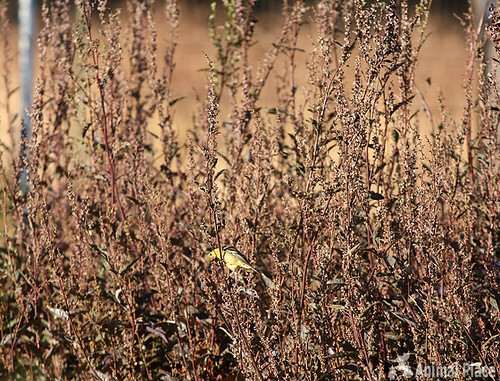 Flocks rush to the dew-speckled flowers and plants to enjoy breakfast. 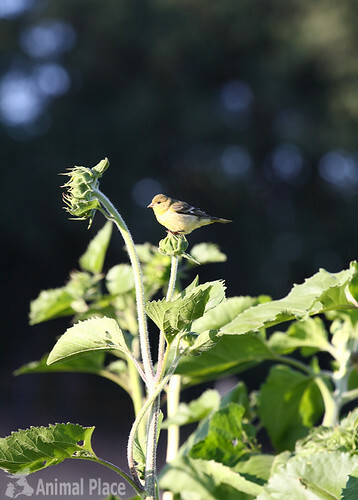 This goldfinch is enjoying some mountain spinach, or orach. I enjoy it too - tastes just like spinach. It's bolted in the picture, which makes for a bitter-tasting leaf. While a telephoto lens is a must-have, the birds don't have an enormous flight distance. Patience, not one of my strong suits (hence why I don't do a lot of animal nature photography), is a better gift than an expensive lens. What a beautiful little bird!